The Volvo Cars Dublin project is a proposal for a 23,863 square foot car dealership on a 2.08-acre site. 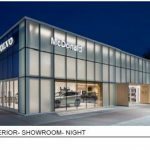 The building will consist of a showroom for the cars, service area and office areas. 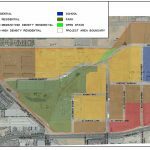 The project application includes a Site Development Review Permit, Stage 2 Development Plan Amendment and Conditional Use Permit. 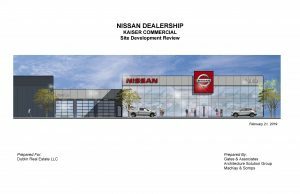 Planned Development Rezone with a Stage 1 and Stage 2 Development Plan and a Site Development Review Permit to construct a Nissan auto dealership. 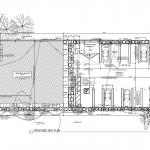 On April 16, 2019, the City Council introduced the Ordinance and approved the Site Development Review Permit (Resolution No. 37-19). City Council will consider adoption of the Ordinance on May 7, 2019. The Westin Hotel project is a proposal for a Tentative Parcel Map, Site Development Review Permit, and a Stage 2 Development Plan for a 163,133 square foot, 6-story hotel. 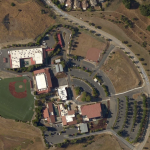 The site consists of a 6.11-acre parcel located at the southeast corner of Campus Drive and Altamirano Road, adjacent to the existing East Dublin Bart Station. 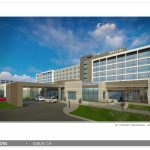 The hotel will include a 5,254 square foot restaurant, a ballroom, 2 large meeting rooms, and 200 hotel rooms. 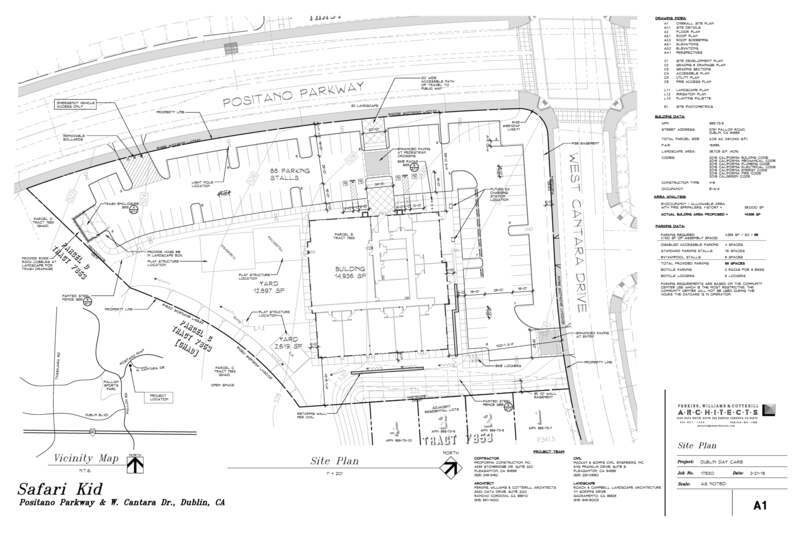 Site Development Review permit for a new retail building, renovated office building and a new hotel. 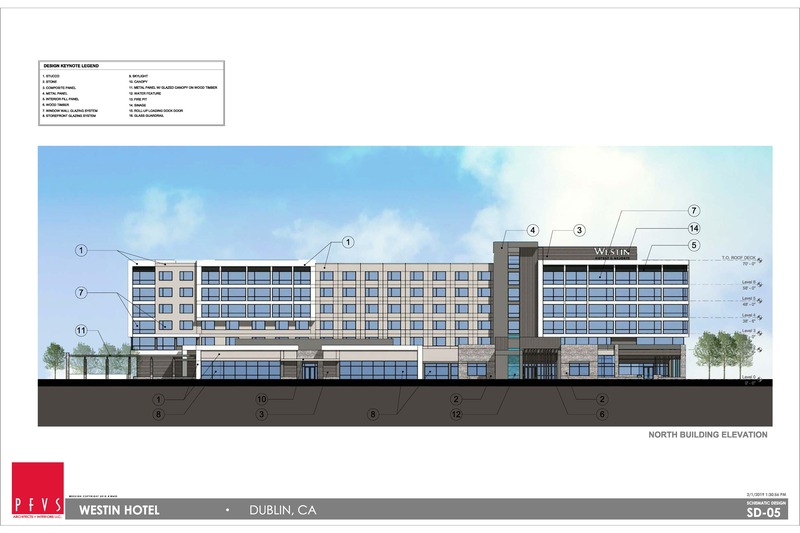 The proposed Ashton at Dublin Station project is located at the northwest corner of DeMarcus Boulevard and Campbell Lane within the Transit Center. 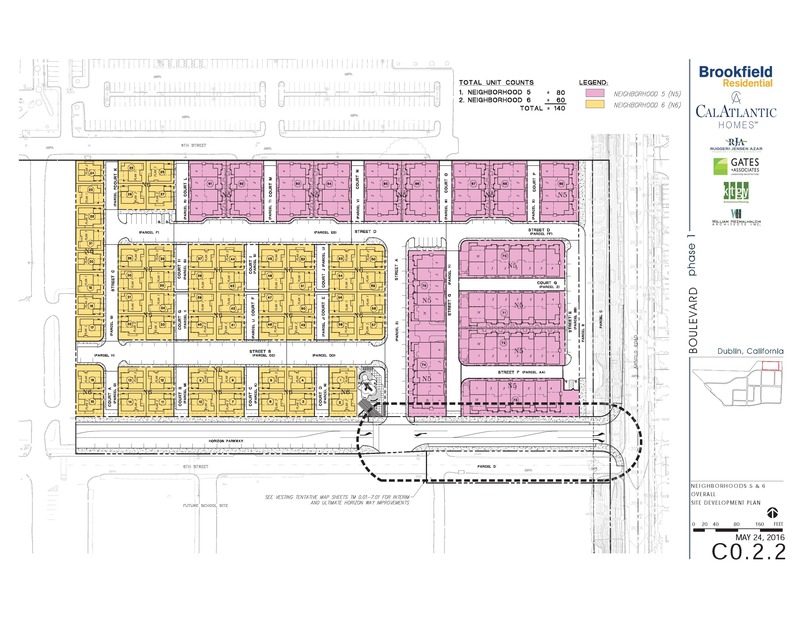 The site has a General Plan and Eastern Dublin Specific Plan land use designation of High Density Residential (25+ units per acre) and Planned Development Zoning with a Stage 1 Development Plan that permits a high density residential development. 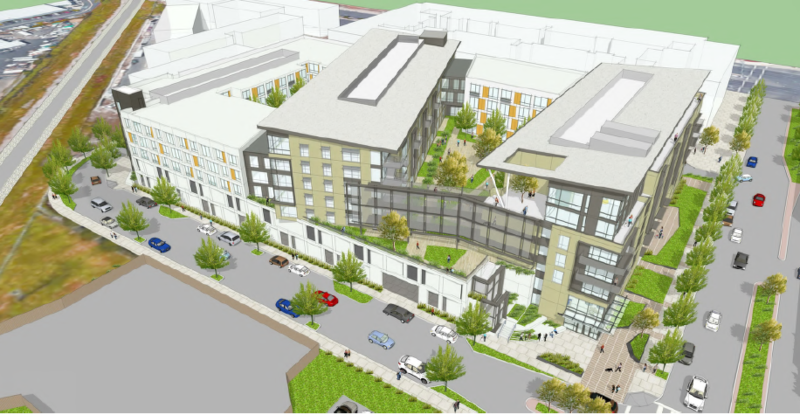 The Applicant proposes to construct a 220-unit apartment community and related amenities which include a fitness center, pool, roof top lounge, and 331 structured parking spaces. 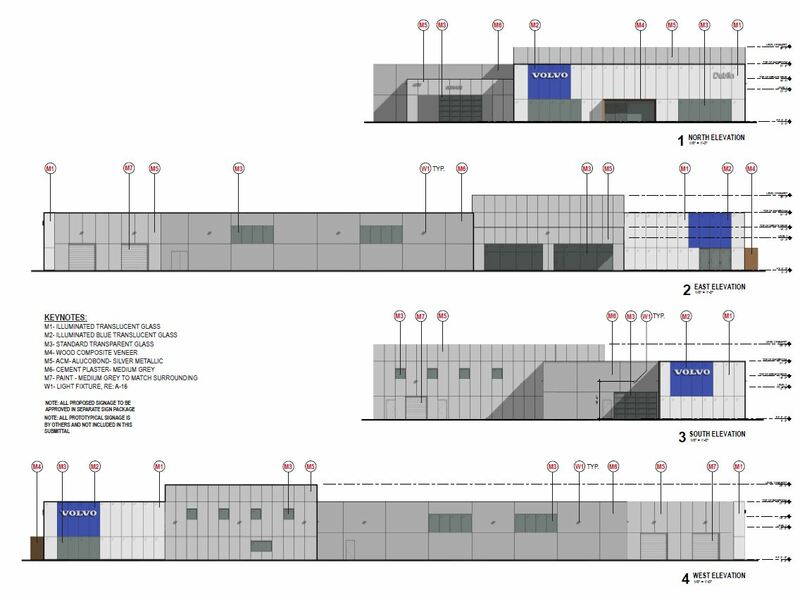 The proposed project includes 3, 4 and 5 story elements that are over 2 levels of parking, and vary in height from 61 feet to 83 feet at the peak of the tallest roof element. 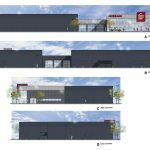 On November 14, 2017, the Planning Commission unanimously recommended approval of the proposed project. 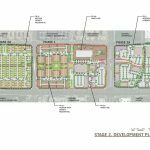 The City Council held public meetings to consider the proposed project on December 5, 2017, February 6, 2018 and March 6, 2018. 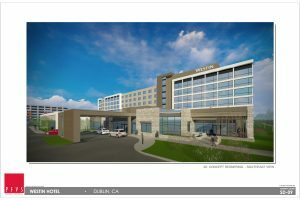 Ultimately, the City Council denied the project on March 6, 2018. The Applicant subsequently filed a lawsuit against the City. The City and the Applicant have entered into a settlement agreement. 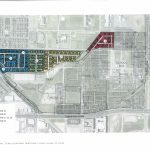 In accordance with the terms of the settlement agreement, the City Council reconsidered the project, and considered entering into a Development Agreement. Please refer to the link under “Documents” (above) for more information about the settlement agreement. 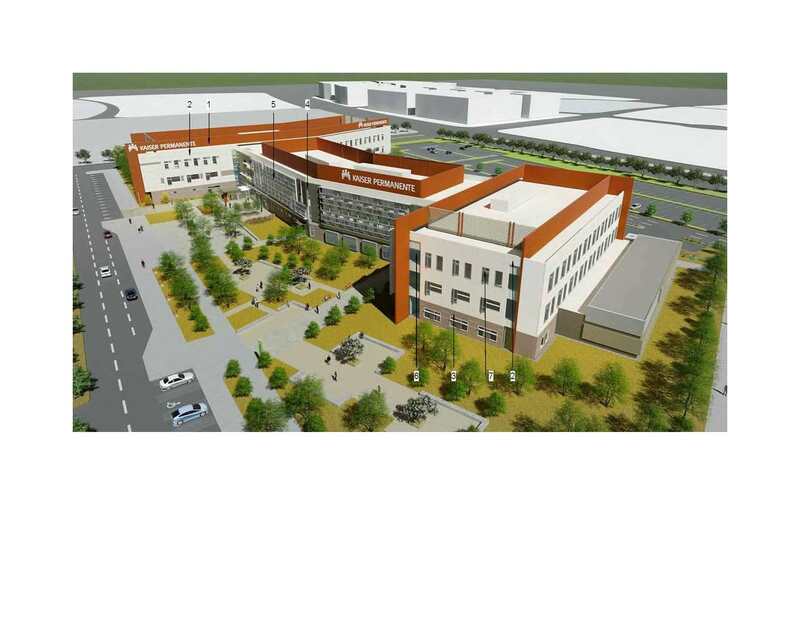 The City Council approved the project on July 17, 2018. The project is currently in plan check. 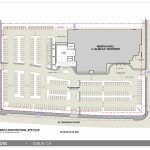 A Planned Development Zoning Amendment and Site Development Review for a 15,769 square foot retail building, 6,035 square foot retail building and 10,000 square foot Daycare. 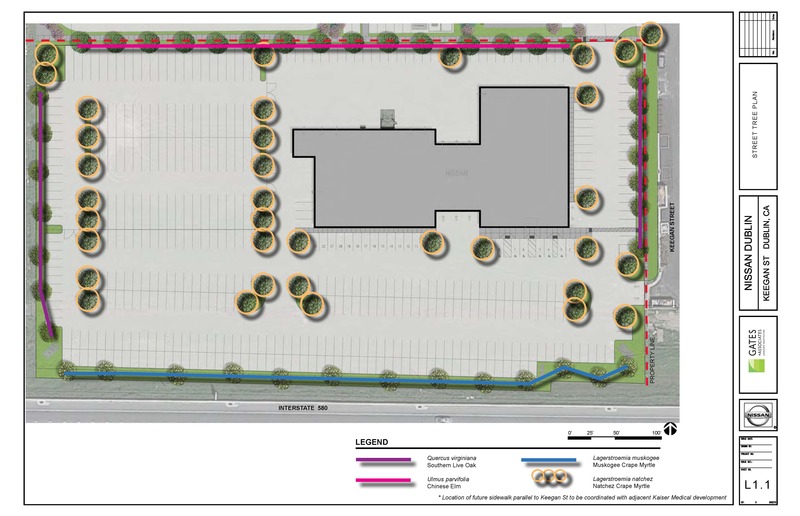 The proposed project also includes 154 parking stalls. 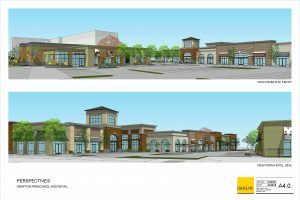 The property owner has submitted a Pre-Application for the proposed Grand View Project. 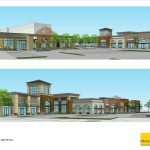 The conceptual proposal is for a mixed use project comprised of up to 2,391,668 square feet of retail/commercial and office uses and up to 338 housing units. 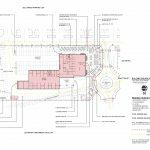 Preliminary concepts for the project include a pedestrian oriented “main street” that would be supported by retail, office, hotels and recreational uses. 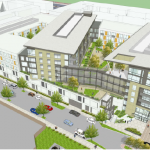 The proposed project would include the extension of Dublin Boulevard and improvements to Croak Road in order to accommodate the proposed development. 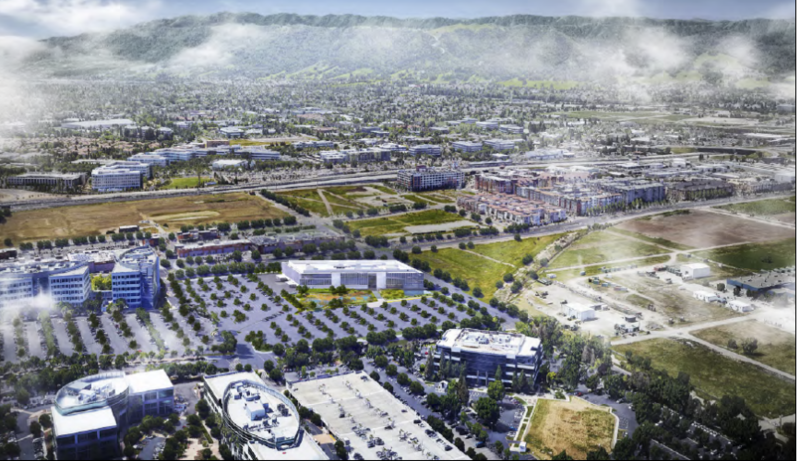 If the project were to move forward, future entitlements may include Planned Development Zoning, Site Development Review for each component of the project, a Tentative Map(s), and environment review in accordance with the California Environmental Quality Act. 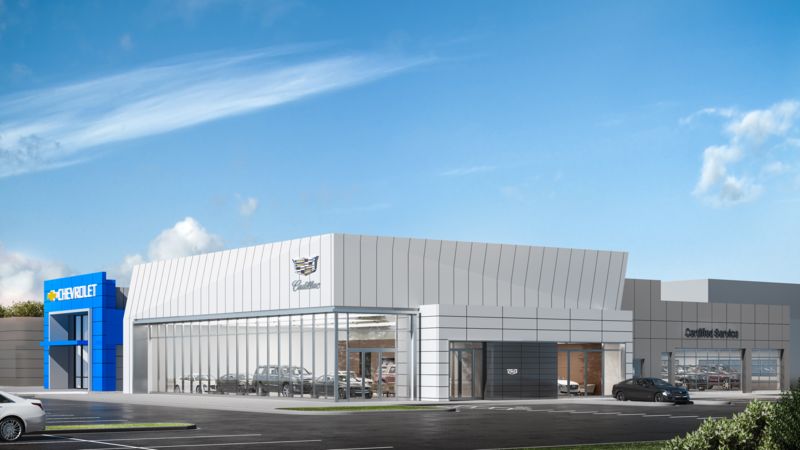 Application for Site Development Review for the Dublin Cadillac Dealership located at 4200 John Monego Court. 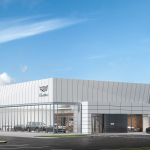 The project includes an approximately 3,200 square foot addition to the existing dealership building and a façade remodel. 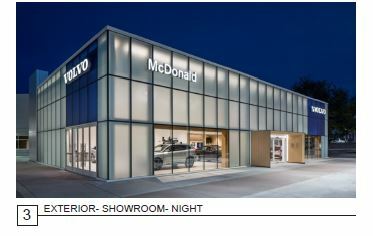 The proposed new façade includes glazing, white aluminum composite material with a silver accent band reveal around the showroom windows. 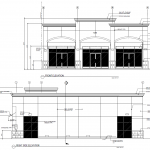 The project was approved by the Community Development Director on May 1, 2018 and is currently under construction. 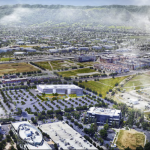 At Dublin project consists of a mix of lifestyle retail and residential uses on the vacant 76.1 acre parcel generally bound by Tassajara Road, Gleason Drive, Brannigan Street and I-580. 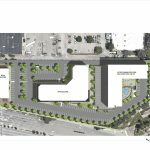 The preliminary proposal would support up to 400,500 square feet of commercial uses and up to 665 residential units. 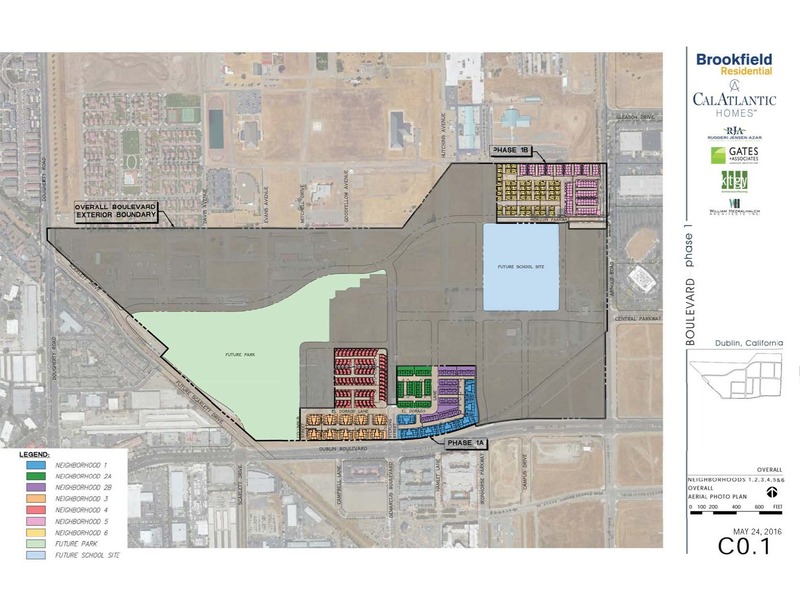 On October 3, 2017, City Council approved the initiation of a General Plan and Eastern Dublin Specific Plan Amendment Study to evaluate changing the land use designation of the subject site. On October 13, 2017, the City received an application and is undergoing City staff review. 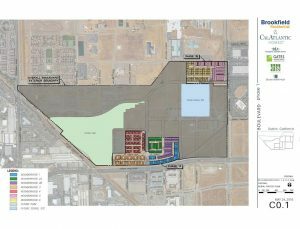 As part of the City’s review of the project, staff will determine the associated impacts from the land use change; complete a fiscal impact analysis of the proposed land use changes; conduct the appropriate level of environmental review and documentation; perform any additional studies that may be required; and prepare an analysis of the project for consideration by the Planning Commission and the City Council. 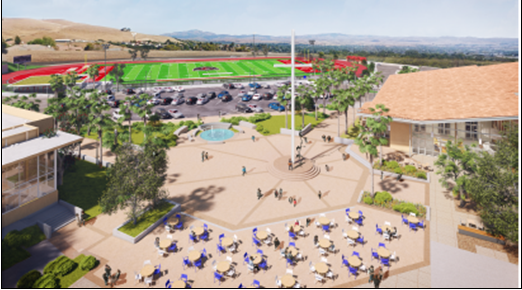 On October 30, 2018, the Planning Commission held a Public Hearing to review the proposed project and made a recommendation to City Council. 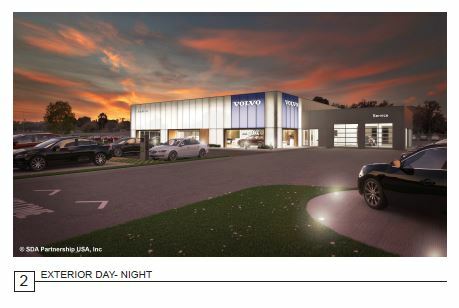 On November 20, 2018, following a request from the Applicant, the City Council continued the project to an undetermined future date. Once the City Council meeting date has been scheduled, a public notice will be provided. The Draft Environmental Impact Report (DEIR) was released on July 6, 2018 for a 45-public review period, which ended on August 20, 2018. The Final EIR, which includes responses to comments received on the Draft EIR, was released on October 24, 2018. Both documents are available to view on this webpage under “Documents”. 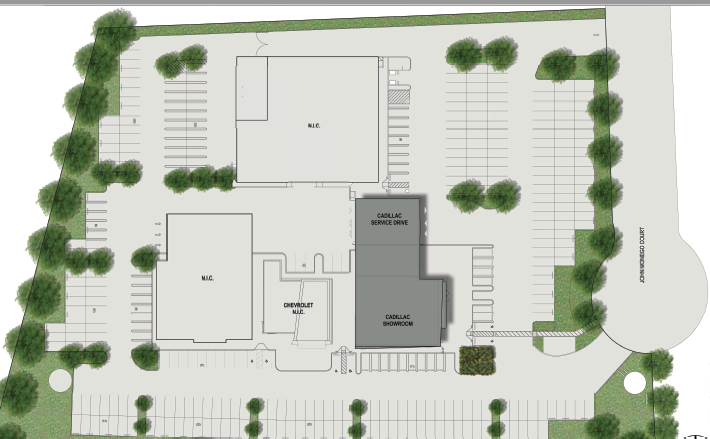 Safari Kid is proposing a new daycare facility and community room on the vacant 2.1-acre Semi-Public parcel at the corner of Positano Parkway and West Cantara Drive in Positano. 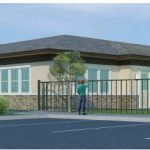 The proposed project includes a 14,936 square foot building comprised of a 10,667 square foot childcare center and a 4,269 square foot multipurpose room that will be open for rent to the community. 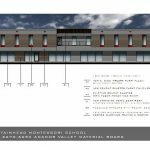 The project includes an outdoor play area for the childcare center, shared parking for both uses and landscaping throughout the site. 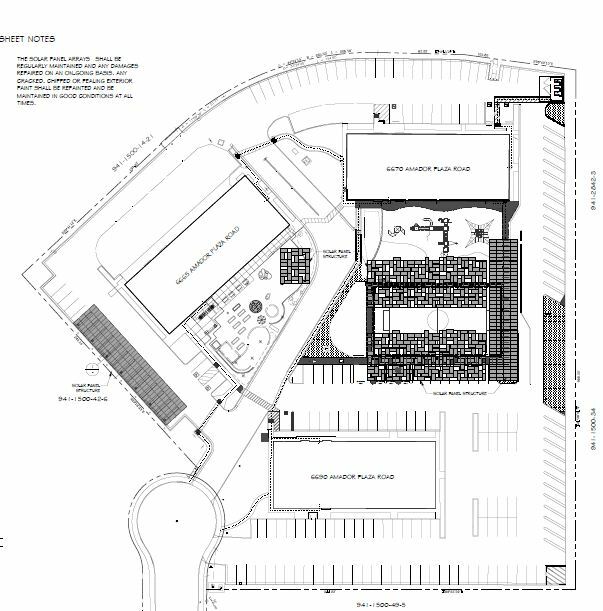 The application includes a Conditional Use Permit to amend the PD Zoning and a Site Development Review for the Safari Kids Childcare & Community Center. The project also includes a Minor Use Permit to allow the two uses to utilize shared parking. 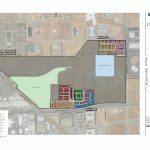 On February 13, 2018, the Planning Commission held a public hearing and continued the project. 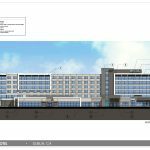 The project went back to the Planning Commission on April 10, 2018, and it was denied. 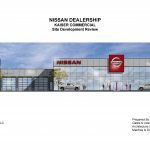 The Applicant appealed the denial and the project went to the City Council on June 19, 2018, where it was approved. Site Development Review to demolish an existing 200,000 square foot warehouse and construct a 499 unit residential apartment complex. 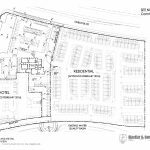 The Planning Commission denied the Site Development Review permit and Vesting Tentative Map on March 27, 2018. 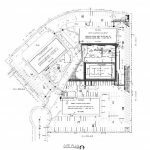 On April 6, 2018, the Applicant filed an appeal of the Planning Commission’s action to City Council. 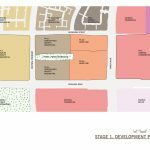 The City Council upheld the appeal, reversing the Planning Commission’s decision, and approved the Site Development Review permit and Vesting Tentative Map on May 1, 2018. The City Council also approved the Community Benefit Agreement on May 1, 2018. 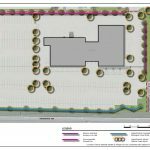 Site Development Review for a new single story 3,700 square foot commercial building with corresponding site improvements. 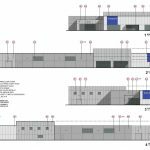 Site Development Review permit to demolish an existing 5,000 square foot building (formerly Coco’s Bakery Restaurant) and construct a new commercial pad building totaling 9,000 square feet. 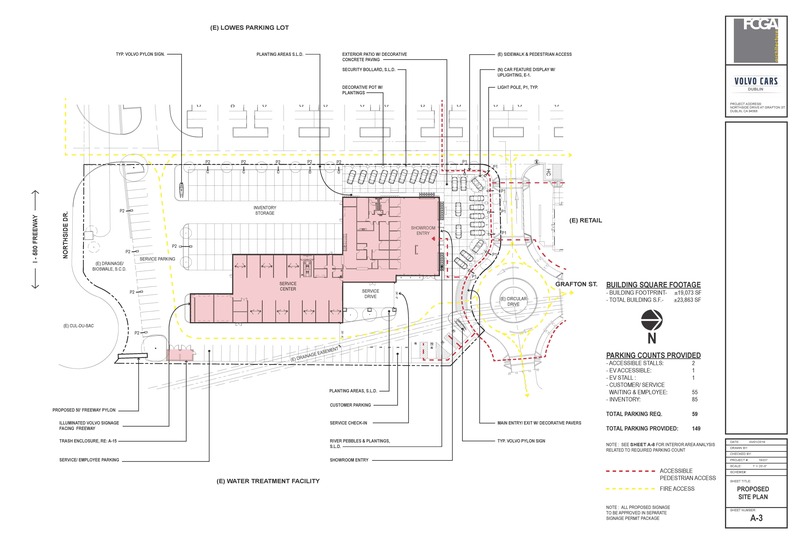 Includes associated site improvements, outdoor seating areas, parking and landscaping. 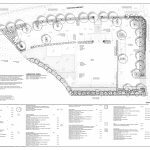 The Planning Commission approved the Site Development Review permit on January 23, 2018. 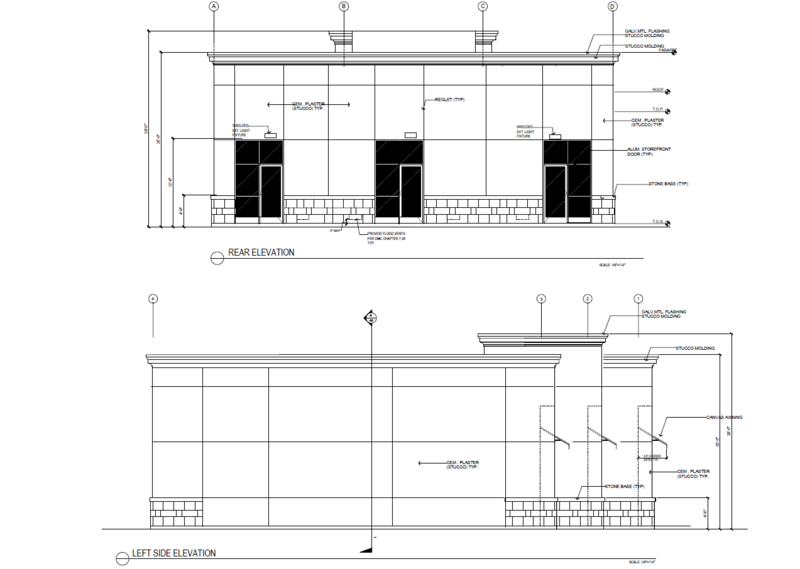 The building permit for the proposed project is currently under review. 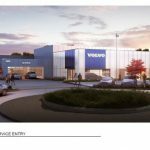 The Zeiss Innovation Center includes two phases of research & development (R&D) campus development. 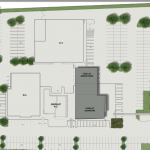 Requested land use approvals include a Planned Development Zoning with a related Stage 1 and Stage 2 Development Plan for the overall site with a Site Development Review for the first phase of development. 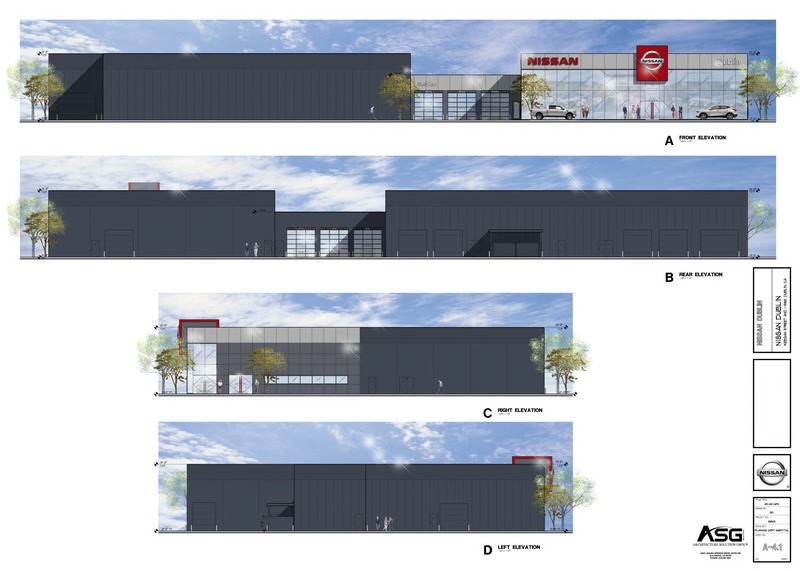 Phase 1 will consist of a 3-story R&D building of 208,650 square feet with an entry plaza, a surface parking lot with 663 parking spaces and landscaping throughout the site. 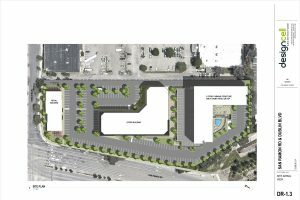 Phase 2 will consist of an additional 5-story R&D building of 224,440 square feet and a 5-story, 1,229-space parking garage. 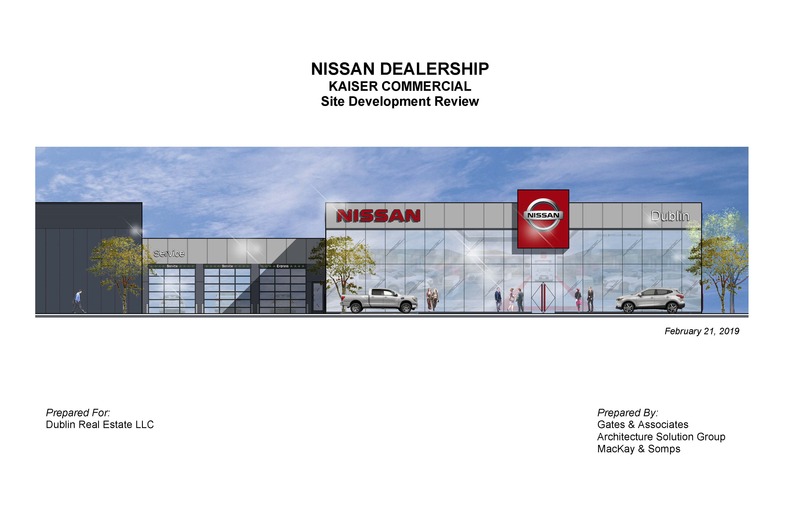 A subsequent Site Development Review will be required for Phase 2. 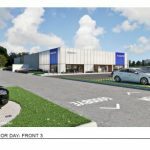 At build-out, the proposed project would include two low-to-mid rise (three-story and five-story) R&D buildings totaling 433,090 square feet and would be used for research, development and testing, light assembly and dry laboratories, and supporting office spaces. 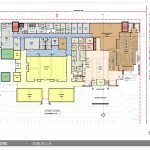 Other internal uses would include conference rooms, an employee cafeteria, and a demonstration center/showroom. 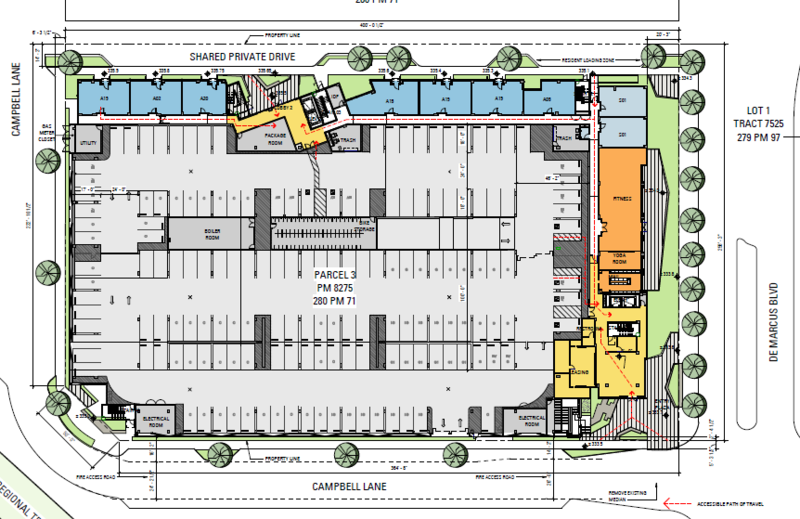 At build-out parking would include one parking garage with 1,229 spaces and 167 surface parking spaces, for a total of 1,396 spaces. 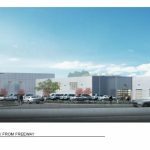 The site would accommodate approximately 1,500 employees at full build-out. 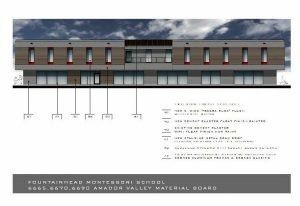 The project was approved by the City Council on March 20, 2018 and building permits have been issued for the first phase of construction. 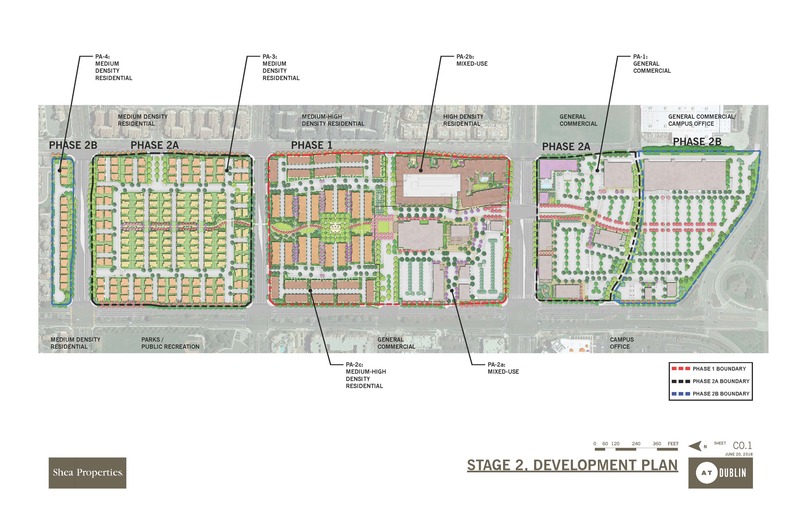 Phases 4 and 5 of the Boulevard project include 510 units and landscape improvements. 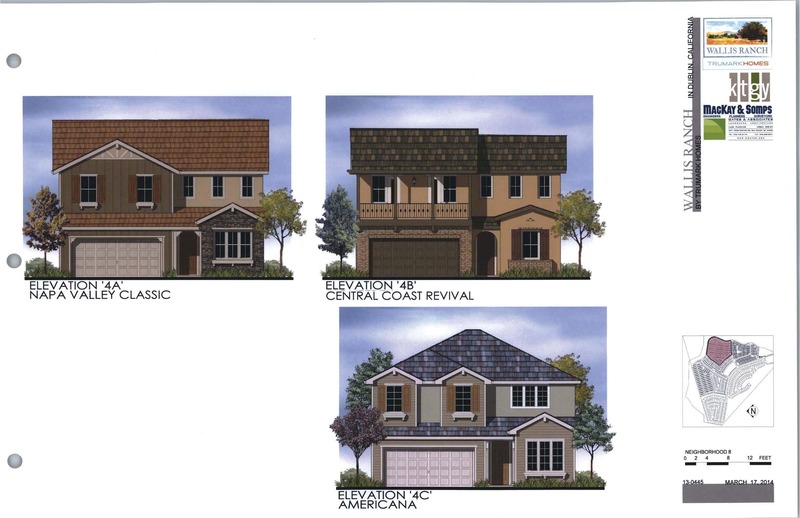 Venice – Neighborhood 19 (Lennar): includes 91 attached duets/single family homes. The grading and construction of infrastructure is currently underway. 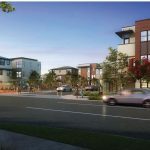 Melrose – Neighborhood 20 (Brookfield Homes): includes 75 townhomes. The grading and construction of infrastructure is currently underway. 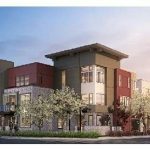 Ivy – Neighborhood 21 (Brookfield Homes): includes 62 townhomes. The grading and construction of infrastructure is currently underway. 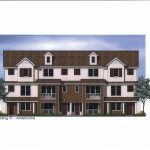 Vine – Neighborhood 22 (Brookfield Homes): includes 92 townhomes. The grading and construction of infrastructure is currently underway. 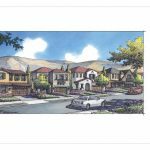 Avalon – Neighborhood 23 (Lennar): includes 90 townhomes. The grading and construction of infrastructure is currently underway. 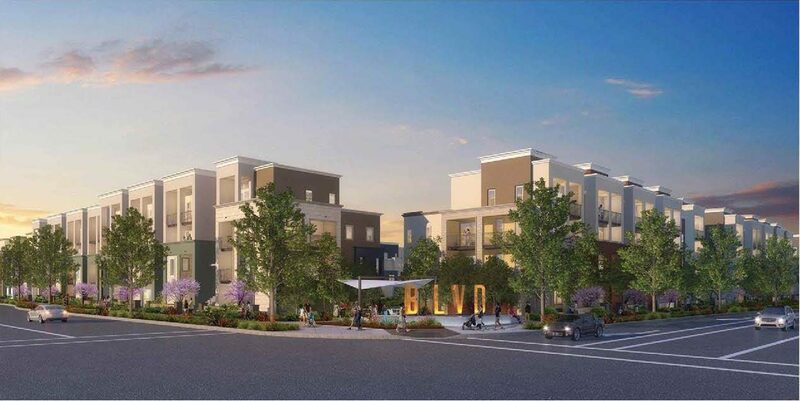 Phase1 of the Boulevard project include 453 units and landscape improvements. 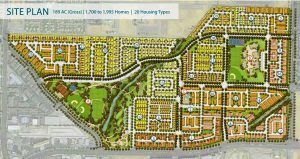 Design review for the first six residential neighborhoods (Phases 1A and 1B) were approved by the Planning Commission on June 14, 2016. 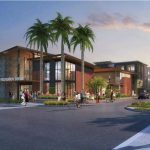 Union – Neighborhood 1 (Lennar): includes 62 condominium homes. The grading and construction of infrastructure is currently underway. 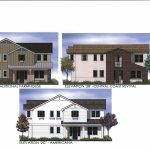 Madison – Neighborhood 2 (Lennar): includes 107 townhomes. The grading and construction of infrastructure is currently underway. 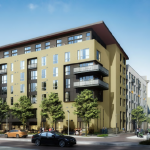 Wilshire – Neighborhood 3 (Brookfield Homes): includes 75 condominium homes. The grading and construction of infrastructure is currently underway. 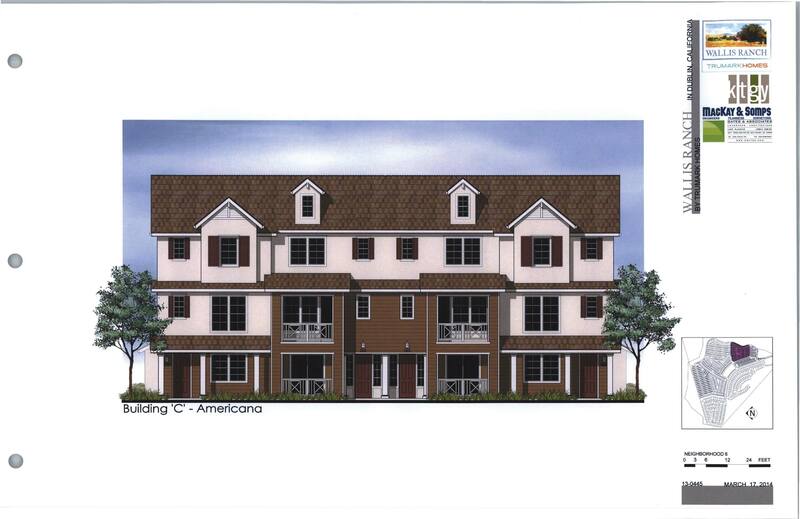 Huntington – Neighborhood 4 (Brookfield Homes): includes 69 single-family residential units. The grading and construction of infrastructure is currently underway. 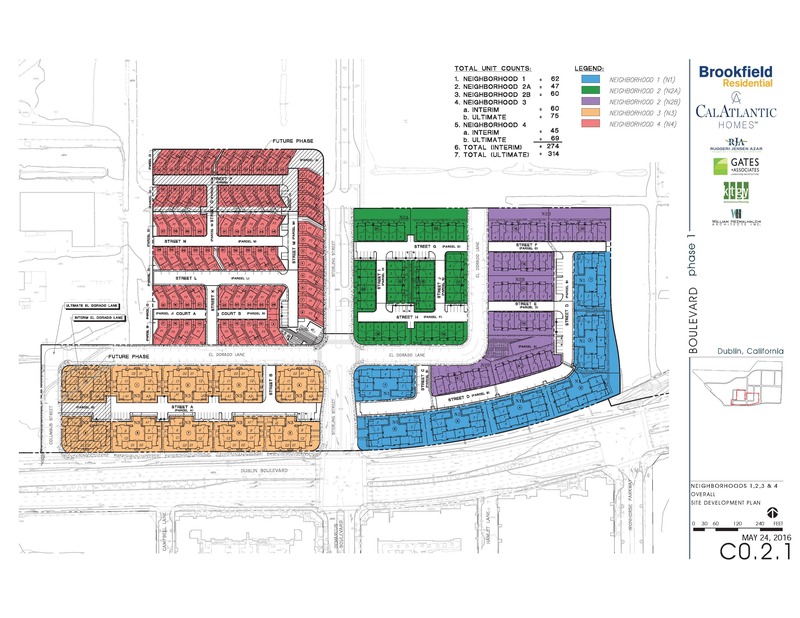 Filmore – Neighborhood 5 (Brookfield Homes): includes 80 townhomes. The grading and construction of infrastructure is currently underway. 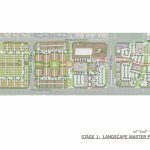 Madison – Neighborhood 6 (Lennar): includes 60 single-family residential units. The grading and construction of infrastructure is currently underway. Planning Commission Staff Report 05.09.17 Attach. 4. 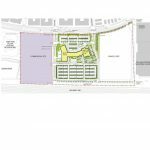 Exh A.
Multi-phased development comprised of up to 1,995 residential units, up to 200,000 square feet of commercial uses, 35 acres of public parkland, a 12-acre elementary school site and related infrastructure. The overall project specific plan (Dublin Crossing Specific Plan) was approved in 2013. 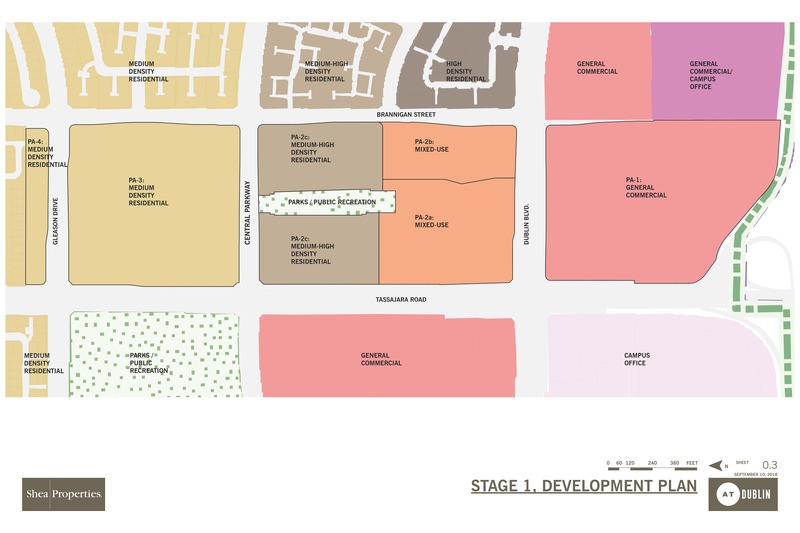 Together, Phases 2 and 3 propose a total of 791 units in 12 neighborhoods. 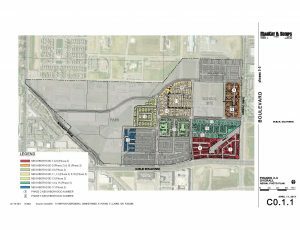 Phase 2 is comprised of 508 units on approximately 36.25 acres and Phase 3 is comprised of 283 units on approximately 18.22 acres. 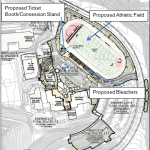 The Planning Commission held two study sessions on April 11 and April 25 to review Phases 2 and 3. 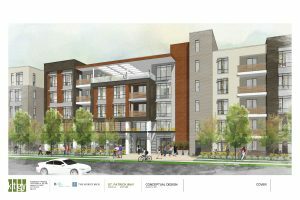 The Planning Commission approved Phases 2 and 3 of the Boulevard Residential project on May 9, 2017. 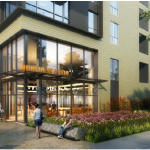 On April 10, 2018, the Planning Commission approved architectural design changes to Neighborhood 15. 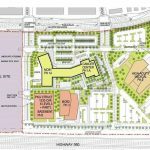 Broadway – Neighborhood 7 (Brookfield): includes 110 condominium homes. The grading and construction of infrastructure is currently underway. 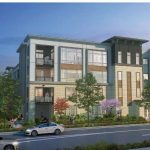 Skyline – Neighborhood 8 (Lennar): includes 114 condominium homes. The grading and construction of infrastructure is currently underway. 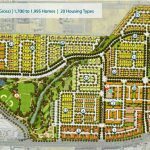 Downing – Neighborhood 9/16 (Lennar): includes 96 townhomes. The grading and construction of infrastructure is currently underway. 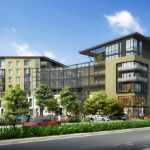 Hyde Park – Neighborhood 10 (Brookfield Homes): includes 40 townhomes. The grading and construction of infrastructure is currently underway. Mullholand – Neighborhood 11/18 (Brookfield Homes): includes 80 townhomes. The grading and construction of infrastructure is currently underway. 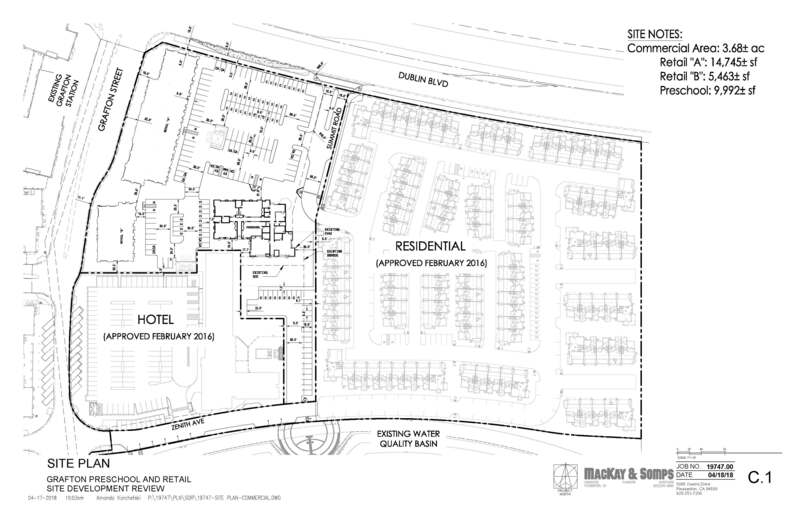 Newbury – Neighborhood 12 (Lennar): includes 49 single-family residential units. The grading and construction of infrastructure is currently underway. 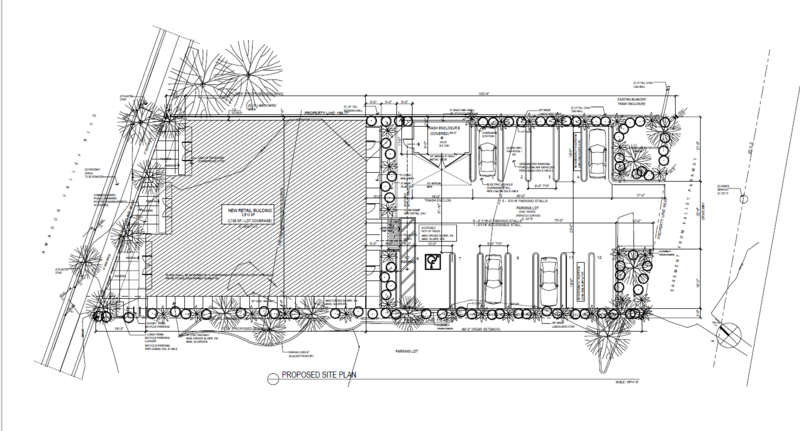 Lincoln – Neighborhood 13 (Lennar): includes 45 single family residential units. The grading and construction of infrastructure is currently underway. 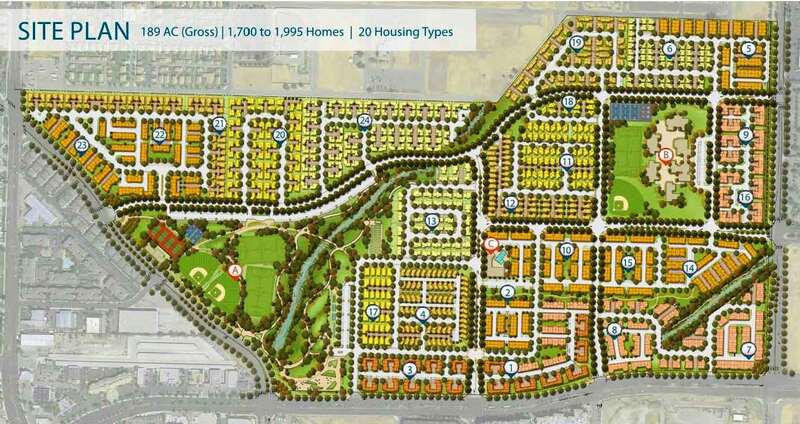 Gramercy – Neighborhood 14 (Lennar): includes 102 townhomes. The grading and construction of infrastructure is currently underway. 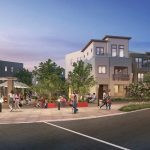 Abbey – Neighborhood 15 (Brookfield Homes): includes 60 townhomes. The grading and construction of infrastructure is currently underway. 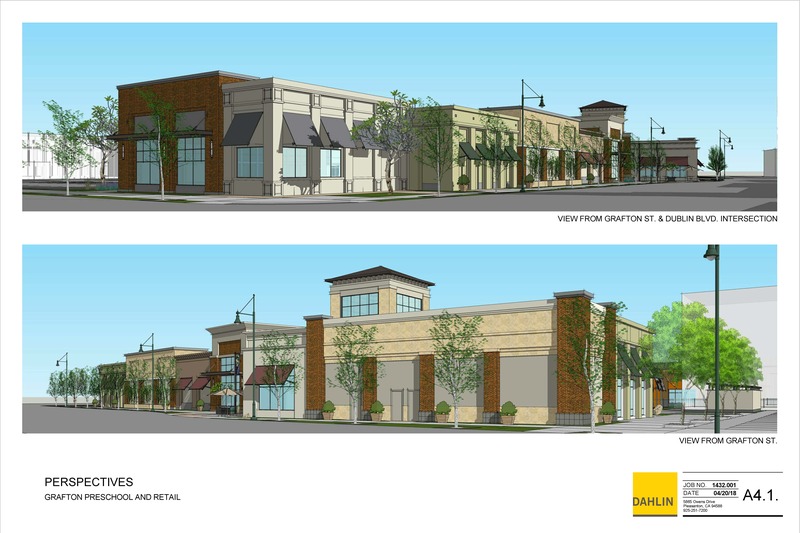 Huntington – Neighborhood 17 (Brookfield Homes: includes 37 single-family residential units. The grading and construction of infrastructure is currently underway. 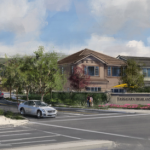 The Valley Christian Center is requesting approval to modify the Planned Development Zoning for the campus. 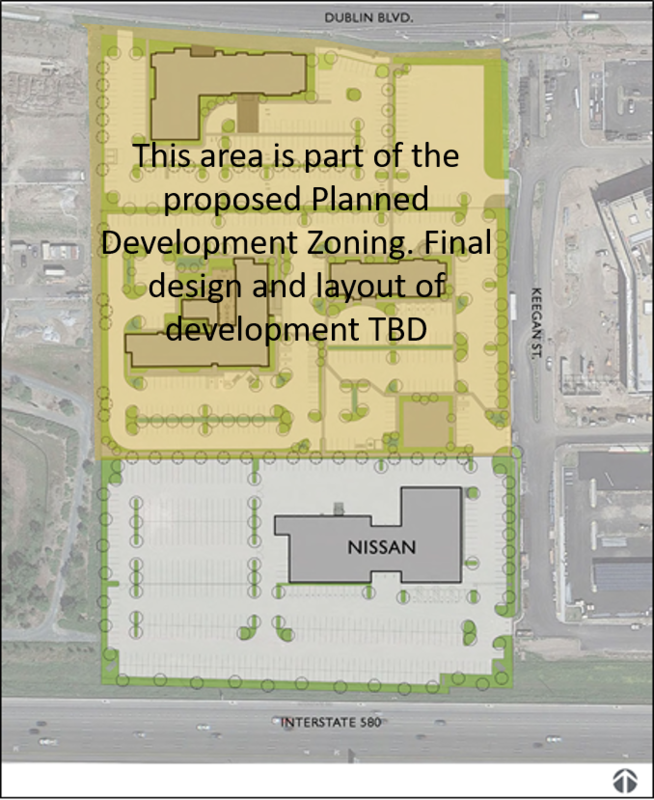 The Planned Development Zoning serves as the master plan to build out the campus over time. 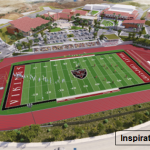 The proposed amendments include the addition of a lighted athletic field with sound amplification, establishing a parking standard for the field, and re-allocating the square feet associated with the other various buildings/uses on the campus. 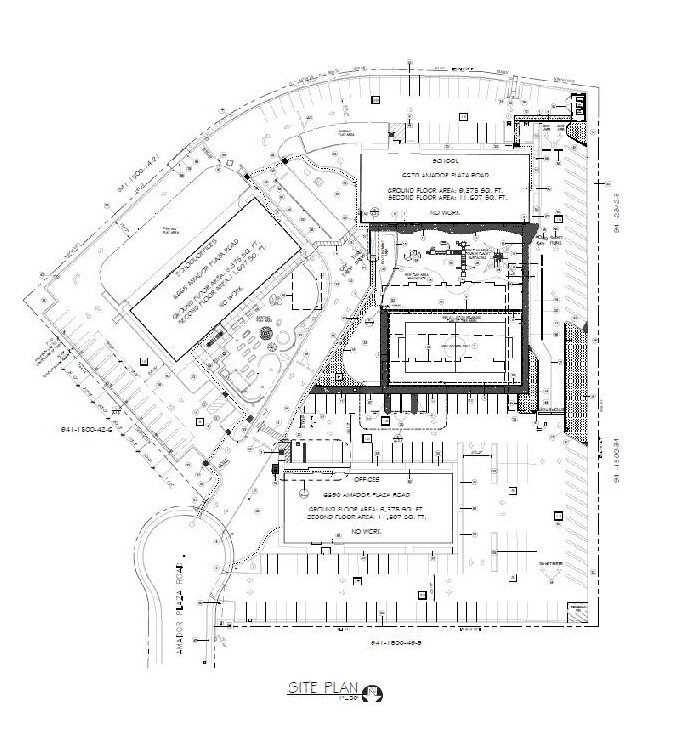 The request also includes a Site Development Review Permit to construct the athletic field, a concession stand/ticket booth and associated site improvements including a new parking lot, plaza and landscaping. The Initial Study/Mitigated Negative Declaration (IS/MND) was released on June 12, 2018 for a 30-day public review period. All comments on the IS/MND are due by 5:00 pm on Thursday, July 12, 2018. The IS/MND is available at Dublin City Hall and the Dublin Public Library. 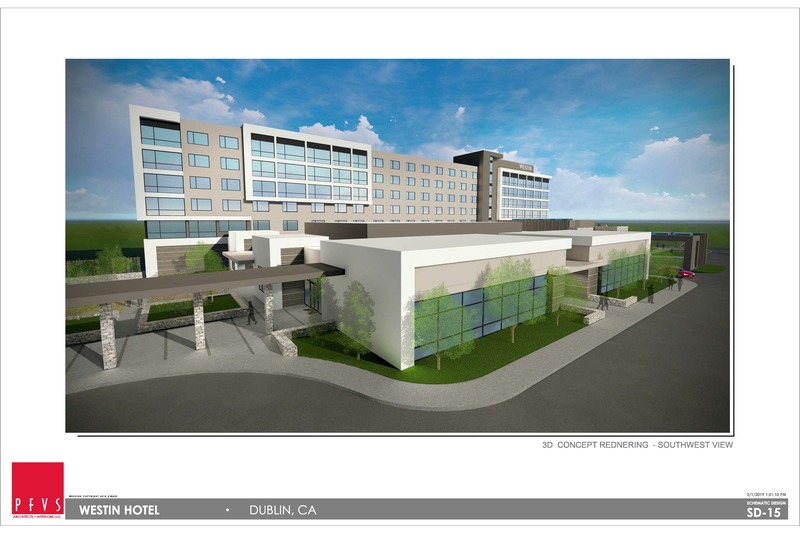 It may also be downloaded from this project website under “Documents.” All comments should be submitted to Martha Battaglia, Associate Planner, 100 Civic Plaza, Dublin, CA 94568. 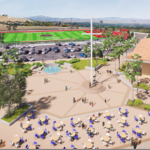 The City Council approved the project on February 5, 2019. 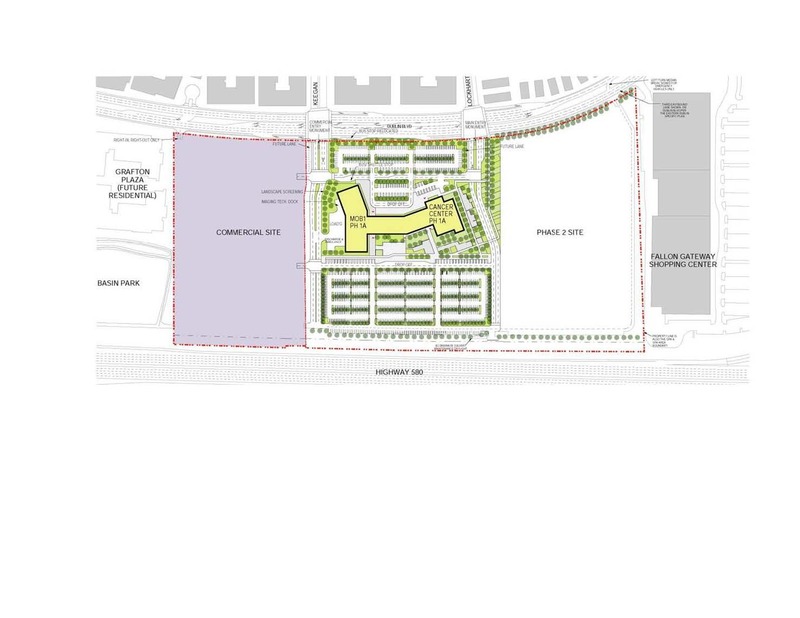 Multi-phased development comprised of up to 1,995 residential units, up to 200,000 square feet of commercial uses, 35 acres of public parkland, a 12-acre elementary school site and related infrastructure. 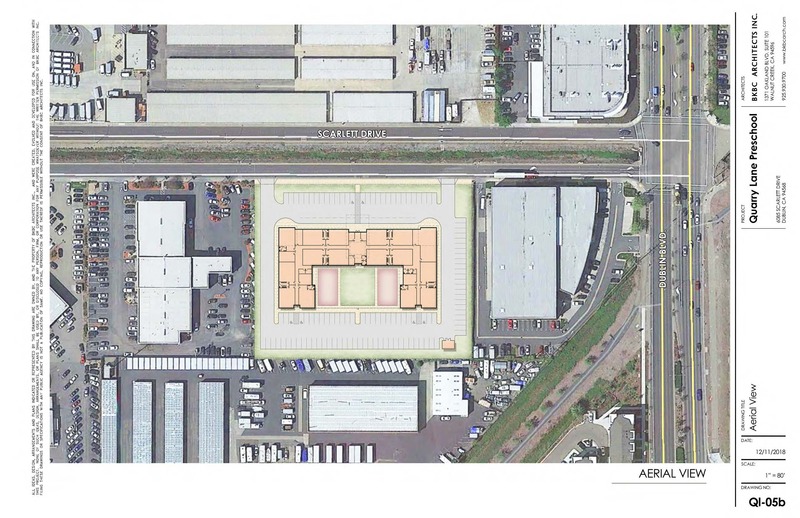 The overall project specific plan (Dublin Crossing Specific Plan) was approved in 2013. Site improvements for the first phase of development is underway. 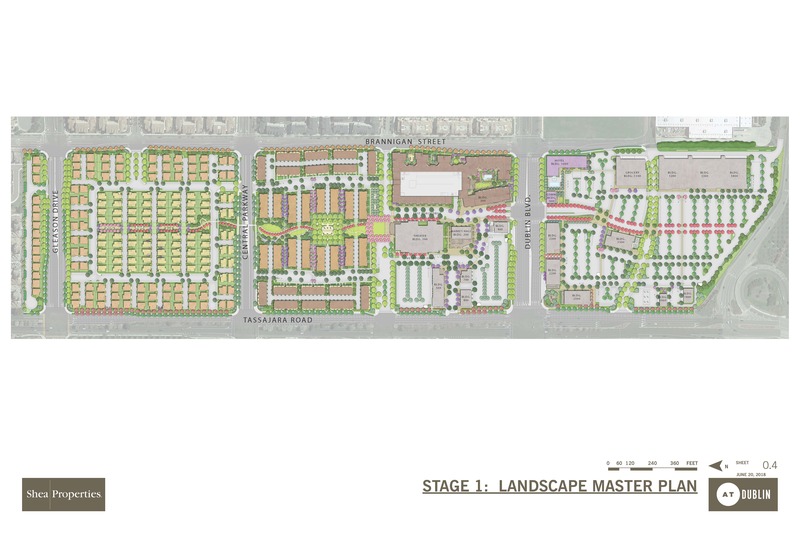 Design review for the first six residential neighborhoods (Phases 1A and 1B) were approved by the Planning Commission on June 14, 2016. 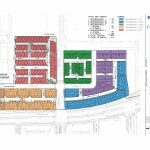 On May 9, 2017 the Planning Commission approved the design of the 12 residential neighborhoods in Phases 2 and 3 and on May 8, 2018, the Planning Commission approved the design of the remaining six residential neighborhoods in Phases 4 and 5. The project is currently under construction. 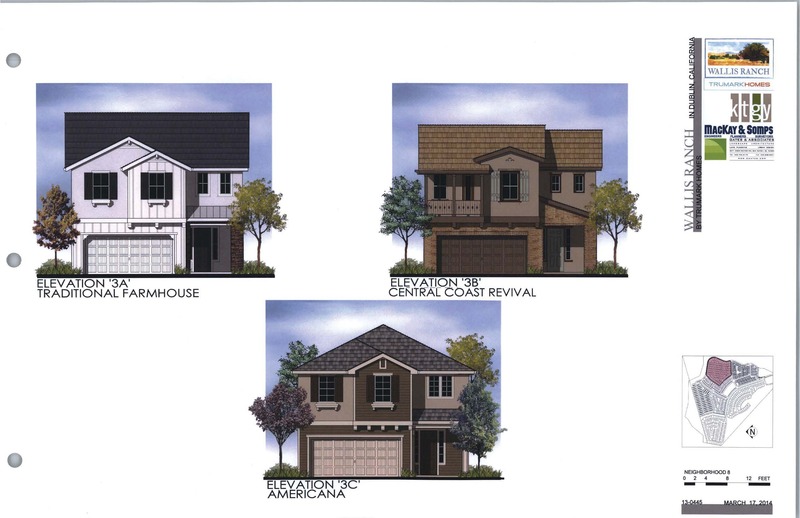 Fielding by Trumark Homes is a single family detached 6-pack court neighborhood of 139 homes. Riverton by KB Homes is a townhouse neighborhood of 125 homes. 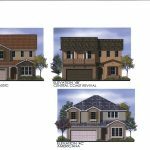 Citron by Pulte Group is a single family detached 6-pack garden court neighborhood of 147 homes. Ivy Oak by Taylor Morrison is a single family detached alley-loaded neighborhood of 74 homes. Bridgecroft by DR Horton/Emerald Homes is a single family detached neighborhood of 92 homes. 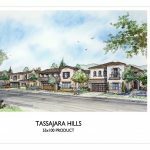 Tassajara Highlands is being developed by Tim Lewis Communities. 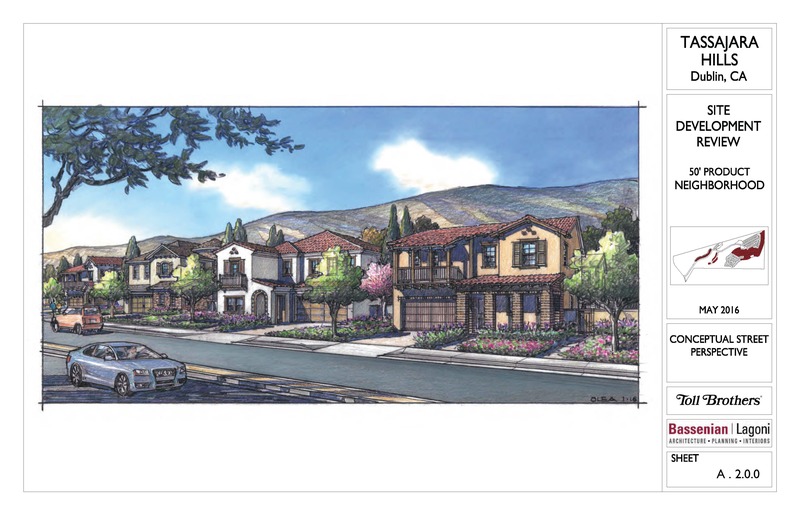 The development will include 48 single-family detached homes on 11.11 acres located on Tassajara Road. 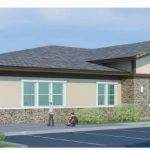 Senior Care Facility comprised of apartments, assisted living and memory care units with associated communal eating and living areas. The construction of the building is underway. 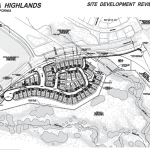 Jordan Ranch – Parcel H is being developed by TRI Pointe Homes. 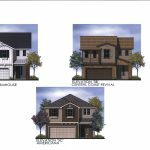 The project includes 40 duet homes and 5 single family detached homes on the northeast corner of Central Parkway and Fallon Road. 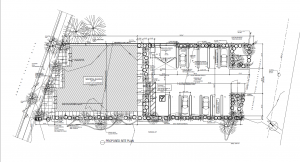 There are three different floor plans ranging in size from 2,020 square feet to 2,196 square feet. Construction of the project is currently underway. 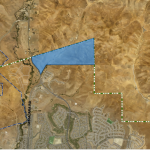 Neighborhood 5 of Jordan Ranch (Slate) is being developed by TRI Pointe Homes with 56 single family residences on 7.8 acres. 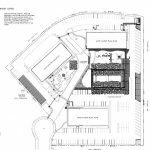 Three floors plans are offered for the “3,200 square foot lots.” All plans are two stories and range in size from 1,840 square feet to 2,110 square feet. 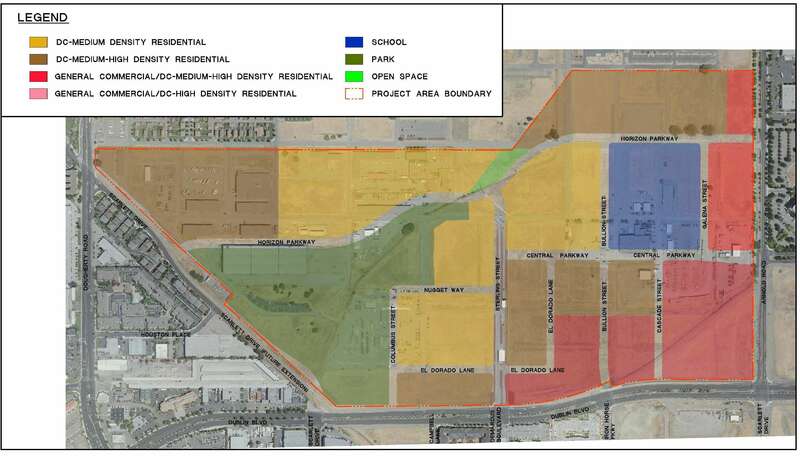 Neighborhood 7, “Onyx”, is part of the overall Jordan Ranch project. This neighborhood consists of 105 detached residential units on 10.1 acres. 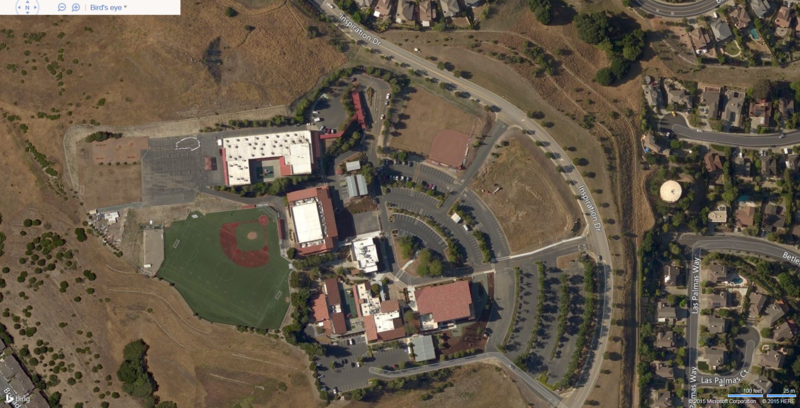 Primary access to the site is from Panorama Drive. All of these homes face onto a neighborhood street or a private park and take vehicular access from a motorcourt or driveway. 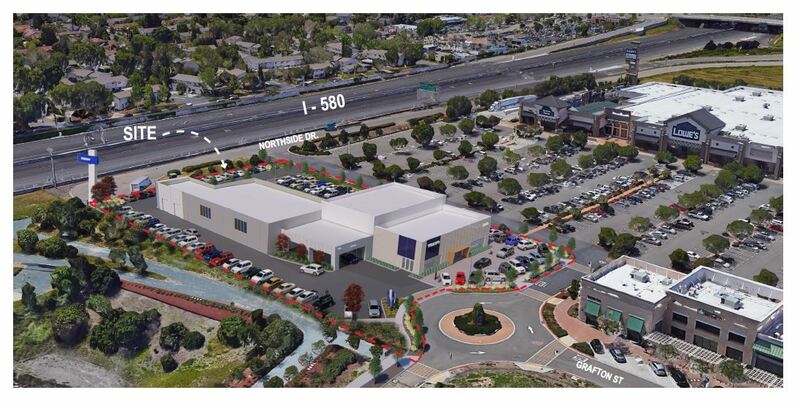 The site plan includes extensive use of pedestrian paseos to interconnect the project and adjacent neighborhoods. 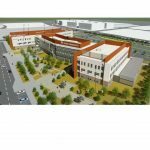 The Kaiser Dublin Medical Center project is comprised of 950,000 square feet of medical campus uses in three main buildings, 250,000 square feet of commercial uses, a parking structure, and associated site, roadway frontage, and landscape improvements. 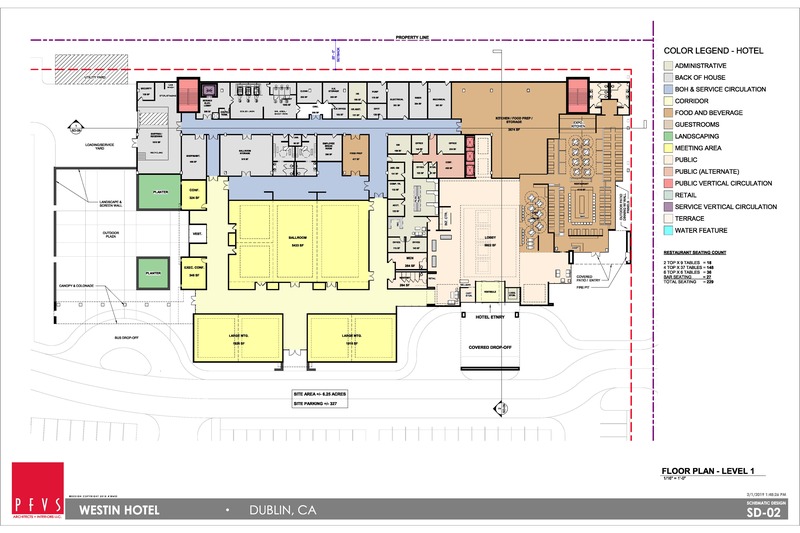 On September 20, 2016, City Council approved the General Plan and Eastern Dublin Specific Plan Amendments, Planned Development Zoning with related Stage 1 Development Plan for the overall site along with a Stage 2 Development Plan and Site Development Review Permit for the first phase of development – a 220,000 square foot medical office building referred to as Phase 1a. The construction of Phase 1a is currently underway. 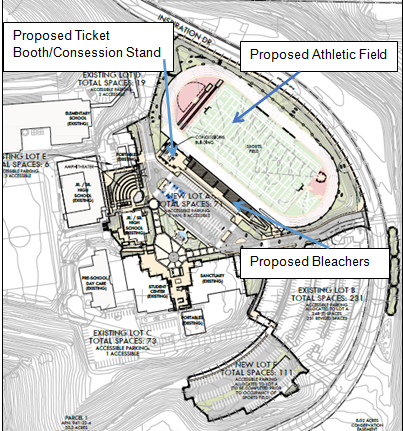 Phase 1a is anticipated to be complete in Spring 2019. 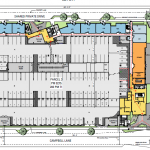 The land use designation for the Grafton Plaza project site allows office uses or a combination of residential, retail commercial and office uses. 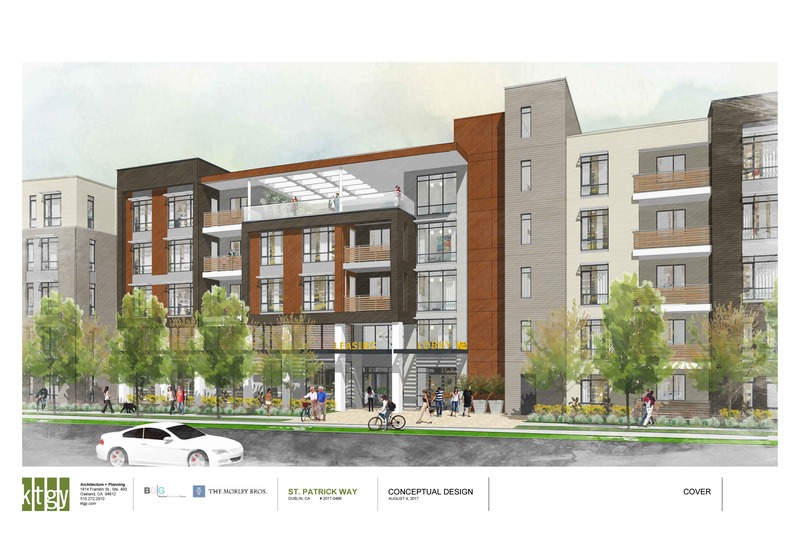 The Applicant has chosen to proceed with an integrated mixed use project. 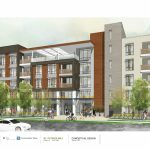 The mixed use project consists of 115 residential townhomes, 127 room hotel, and up to 55,000 square feet of future retail commercial. 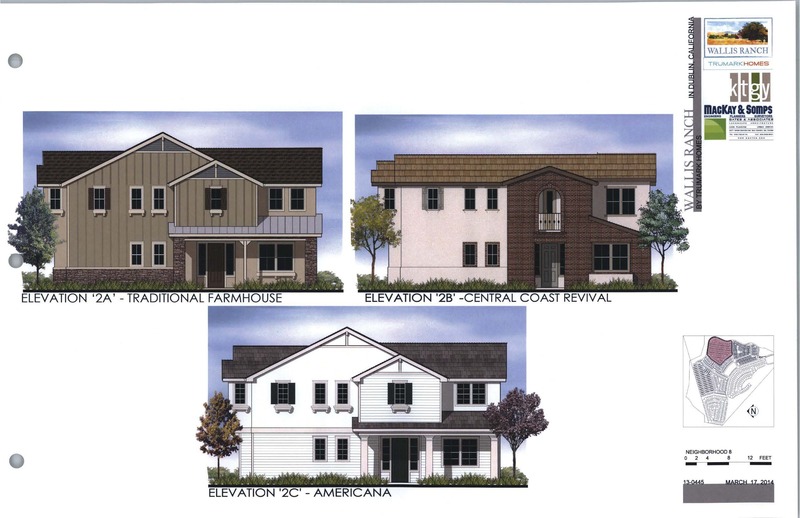 The 6.55-acre townhome portion of the project will include 20 buildings with 4-9 units per building. 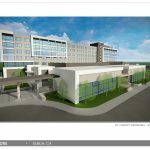 The project will include 4 floor plans that range in size from approximately 1,766-2,244 square feet. 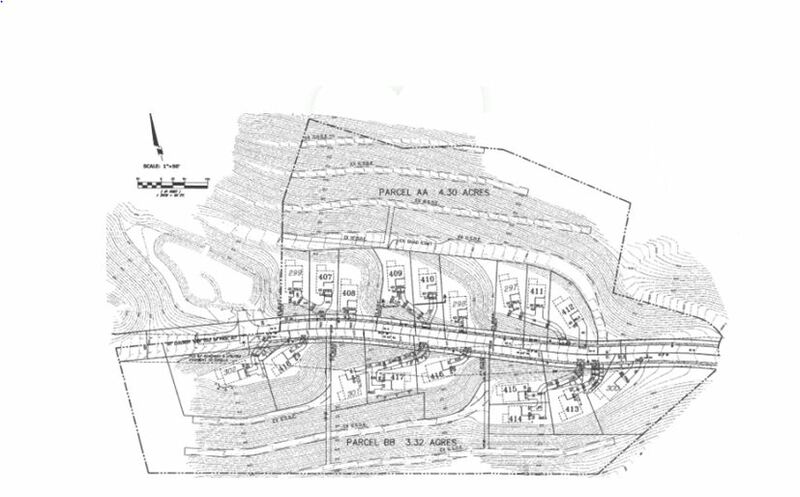 The Schaefer Unit 3 project included approval of a General Plan Amendment and Planned Development Zoning with a related Stage 1 and Stage 2 Development Plan to change the land use designation and zoning of 17.30 acres designated as Estate Residential and originally approved for 6 residential estate lots and common areas, to 7.04 acres designated as Single-Family Residential for 18 single-family detached homes and 10.26 acres designated as Open Space. 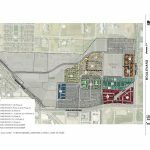 This proposal results in a total of 418 homes (a net increase of 12 homes) within the Schaefer Ranch project. 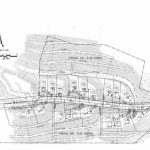 The application also included a Site Development Review Permit and Vesting Tentative Map for the proposed homes on the 18 lots. 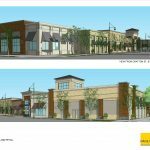 The project was approved by the City Council on June 21, 2016. Site Development Review was approved for a facade remodel of the three existing buildings, construction of solar carport structures within the parking lot, and construction of outdoor play areas and associated site improvements, including solar shade structures, for use by Fountainhead Montessori. The solar carport structures, outdoor play areas and associated site improvements were completed in 2017. The facade remodel of the first building was completed in 2017 and the second building was completed in 2018. 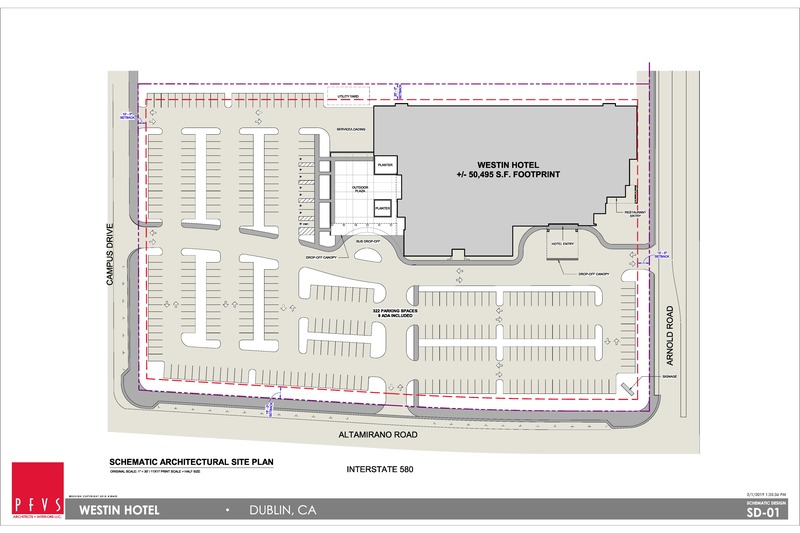 The Applicant, Dublin Retail LLC, is requesting approval of a Conditional Use Permit, Site Development Review, Heritage Tree Removal and Tentative Parcel Map to subdivide a vacant 1.19 acre site into two parcels, remove one-two heritage oak trees, construct a 2,600 square foot drive-thru coffee shop and construct a 5,400 square foot commercial building. 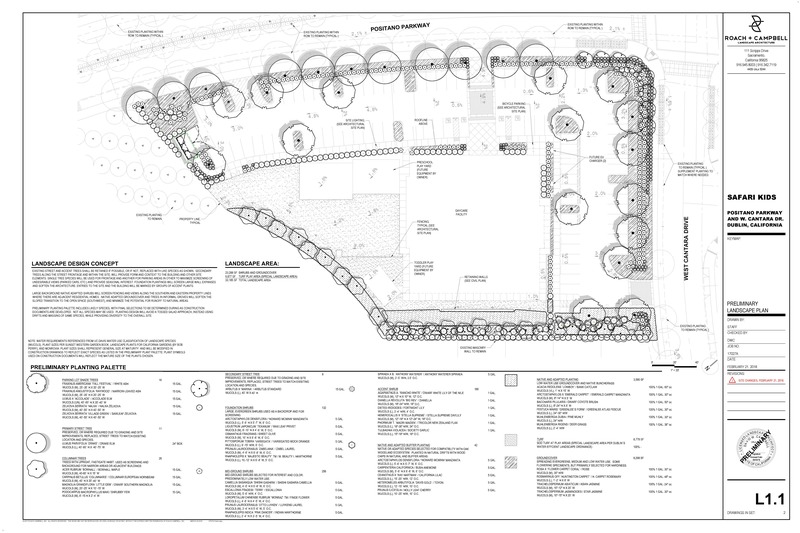 The site is currently vacant and contains two heritage oak trees. 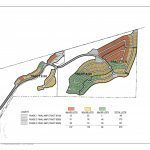 The Applicant, Toll Brothers Inc., received Planning Commission approval on August 9, 2016, for a Site Development Review Permit for the design and construction of 370 single family detached residential dwellings and a private clubhouse. 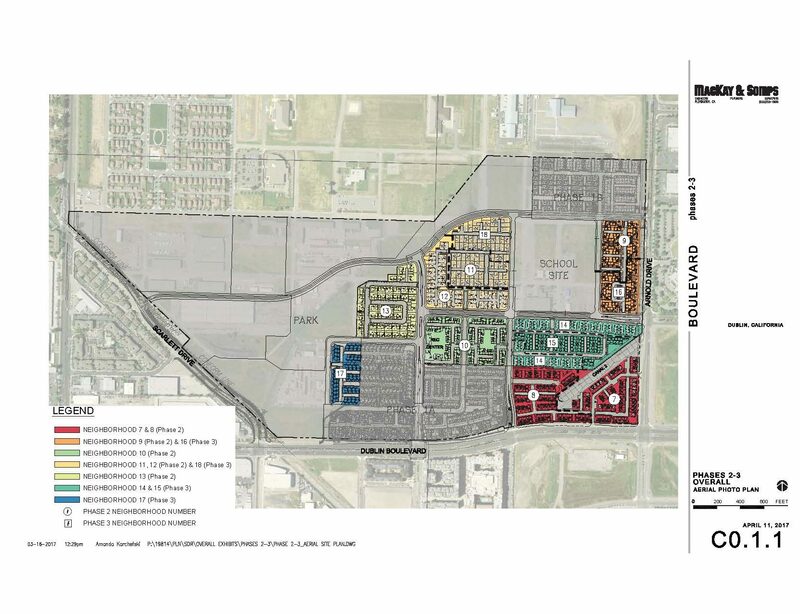 The General Plan/Specific Plan land use, Planned Development Zoning and Vesting Tentative Subdivision Map were approved by the City Council in 2012. 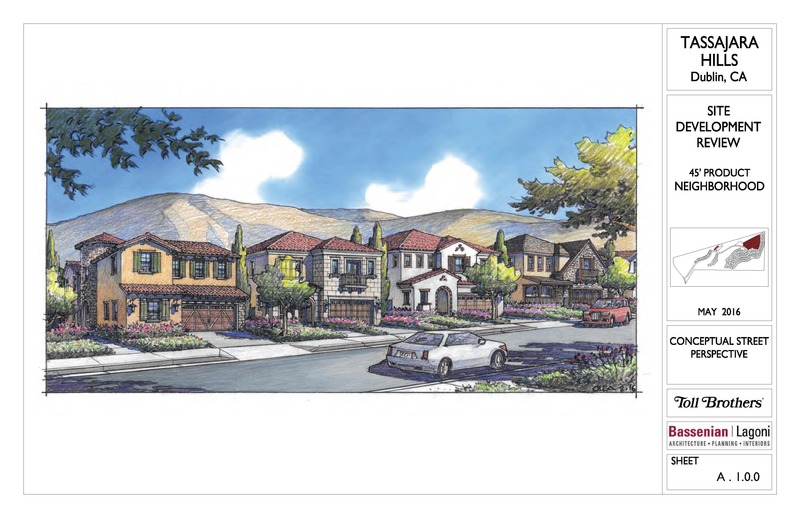 The Glen @ Tassajara Hills: 107 single-family detached units on minimum 4,500 SF lots. The project is currently under construction. 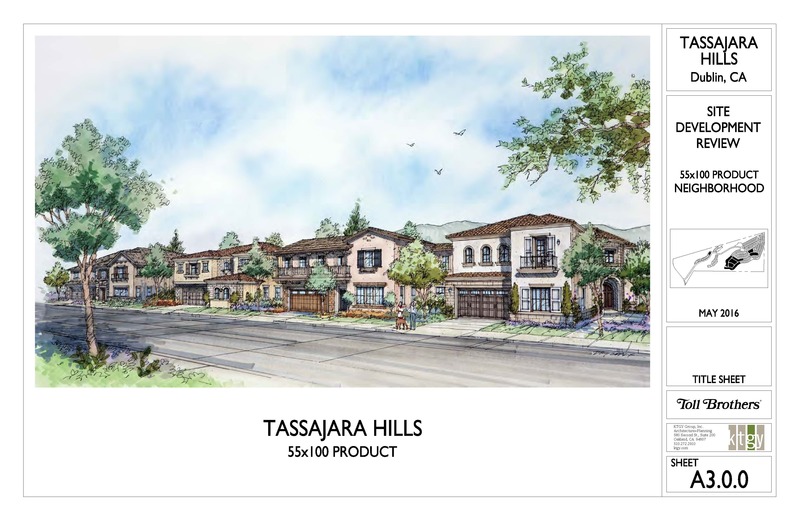 The Knolls @ Tassajara Hills: 179 single-family detached units on minimum 5,000 SF lots. The project is currently under construction. 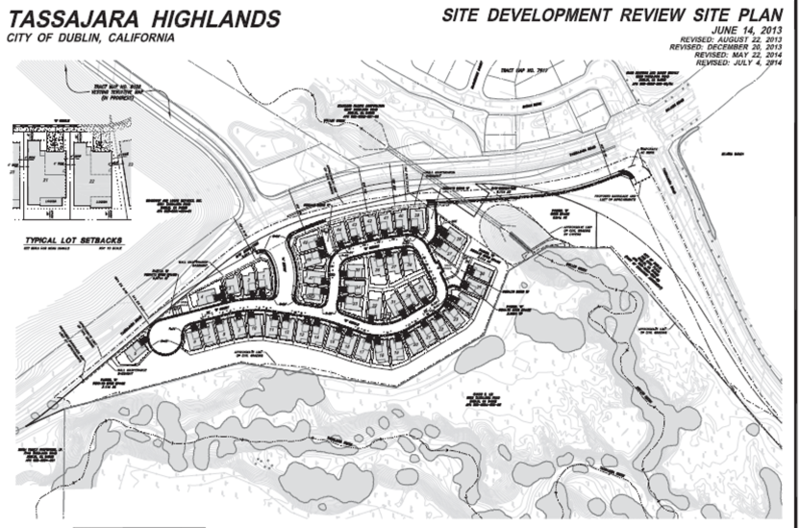 The Bluffs @ Tassajara Hills: 84 single-family detached units on minimum 5,500 SF lots. The project is currently is under construction. 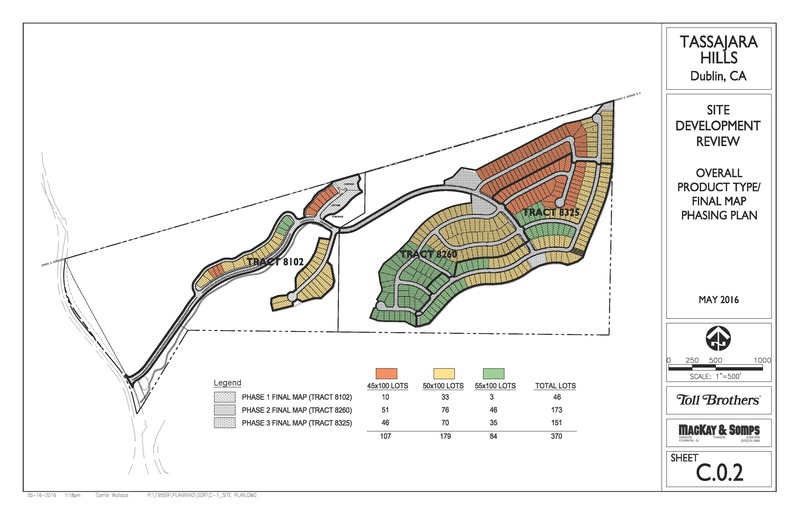 The Applicant, Wanmei Properties, Inc., is requesting approval of a Planned Development Zoning, Vesting Tentative Map and Site Development Review to subdivide the property and construct 19 single family detached homes. 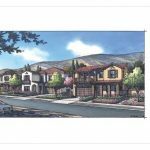 The proposed project includes completing the frontage improvements along Tassajara Road as well as demolition of the existing single family home and ceasing operation of the various landscape contracting businesses that currently exist on the site. An Initial Study/Mitigated Negative Declaration was prepared for the project and circulated for public review and comment from March 17, 2016 through April 18, 2016. Based on new information obtained during the public review period, a revised Initial Study/Mitigated Negative Declaration was prepared and recirculated for public review and comment from October 22, 2016 through November 22, 2016. 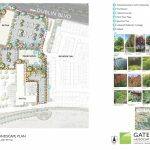 The Planning Commission reviewed the project at their meetings on June 13, 2017 and June 27, 2017 and recommended denial of the project to the City Council. 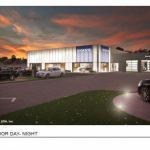 The City Council meeting for this project has not yet been scheduled. 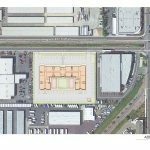 The City received an application from IKEA to construct a store and a commercial center on a 27.5 acre site at 5144 and 5344 Martinelli Way. 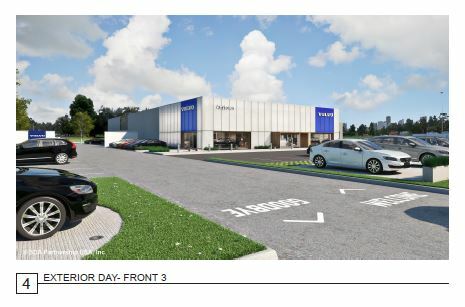 The proposed project is for up to 410,000 square feet of commercial uses includes a 317,000 square foot IKEA store with integrated podium parking and a 93,000 square foot commercial center with a mix of retail and restaurant spaces. 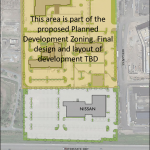 The updated site plan submitted to the City can be reviewed by clicking on the thumbnail below. 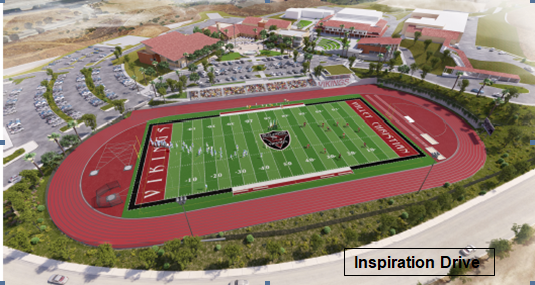 The City Council approved the project on November 8, 2018. The City released the Draft Supplemental Environmental Impact Report (SEIR) on January 31, 2018. The public comment period on the EIR ended on March 16, 2018. The Final SEIR, which includes responses to comments received on the Draft SEIR, was released on September 14, 2018. 370 single family detached dwellings and a private clubhouse on 80 acres within the Eastern Dublin Specific Plan area. Conceptual Pre-Application for a mixed-use project with retail/commercial, offices and housing units. 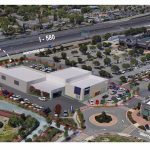 The City received an application to construct an IKEA store and a commercial retail center on a 27.5 acre site at 5144 and 5344 Martinelli Way. 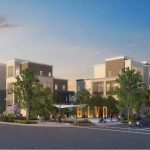 Phase1 of the Boulevard project include 453 units and landscape improvements. 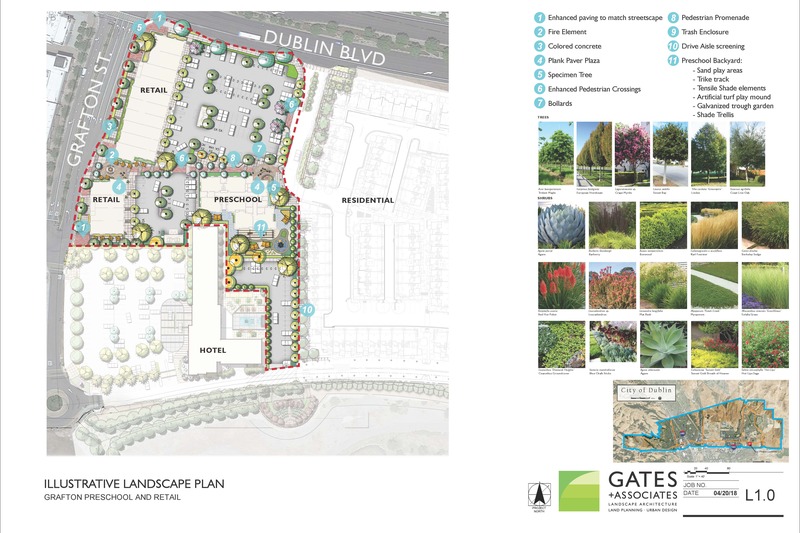 Phases 2 and 3 of the Boulevard project include 791 units a private recreation facility, and landscape improvements. 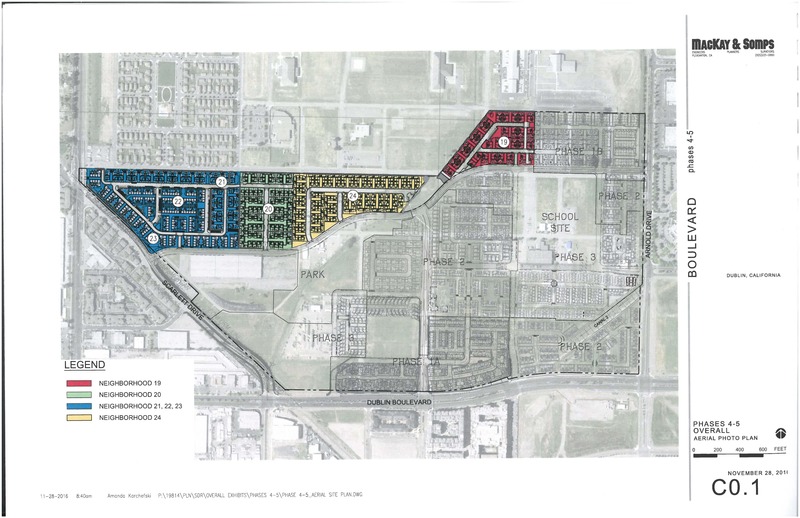 Phases 4 and 5 of the Boulevard project include 509 units and landscape improvements. 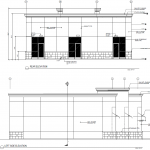 Site Development Review permit to construct a new commercial pad building totaling 9,000 square feet. 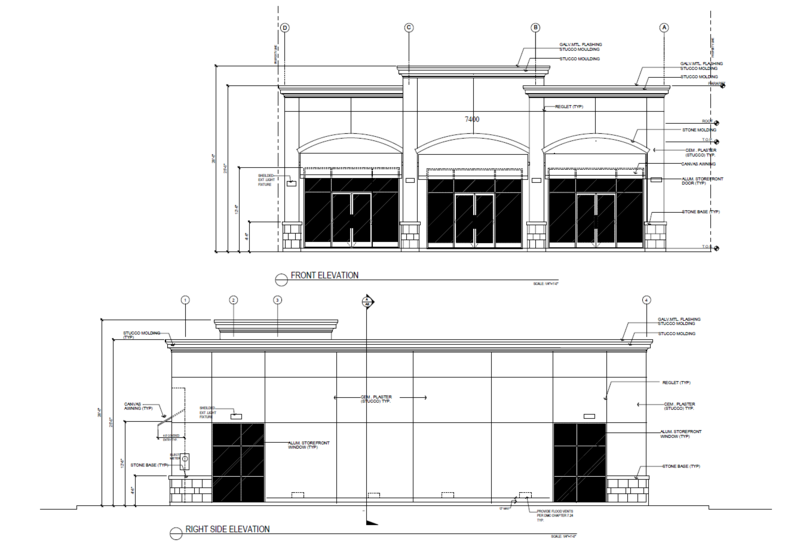 New single story 4,000 square foot commercial building with corresponding site improvements. 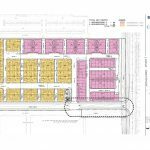 Proposed medium density residential subdivision of 19 single family detached dwellings on 2.6 acres within the Eastern Dublin Specific Plan area. 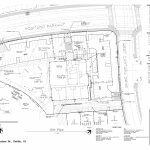 2,600 square foot drive-thru coffee shop and a 5,400 square foot commercial building on 1.19 acres in the Downtown Dublin Specific Plan area.